Life was contrast. Light and dark. Comedy and tragedy. I know that I have mentioned in other posts that my family has ties (albeit loose ones) to the Vanderbilt family. My grandparents lived most of their lives in Asheville, North Carolina where the famous Biltmore House Estate was built by George Vanderbilt. My Uncle Sylvester initially worked with their gardener and later came to be exclusively in charge of their azalea gardens. My mother and her sisters often visited him at the estate and were often allowed to visit inside the house and explore its many rooms. That connection is through George Vanderbilt’s line, but this is not his story. Instead, this is the story of Alva Smith, who had to save herself and her family from starvation. Alva found herself in a position to improve her family’s circumstances, so she took it – she married a Vanderbilt. Love was a frivolous emotion, certainly no basis for a marriage — every young lady knew this. Growing up, my interest in the Vanderbilt family extended only to the North Carolina branch of that illustrious family. It makes me embarrassed now to realize how little I knew about that family and their contributions to American culture, politics, and society as a whole. Therese Anne Fowler uses this novel to walk us through one woman’s rise through the ranks of society after she gained the name Vanderbilt and used its influence to lift herself and that family to unprecedented levels of wealth and power in 19th century New England. Although Fowler’s book is fictional, she bases her characters on the real people and actual events mentioned in the book. Her writing is so compelling that I found myself Googling along with some of the action – Did that really happen? Did they really get married? Did that actually happen in real life? 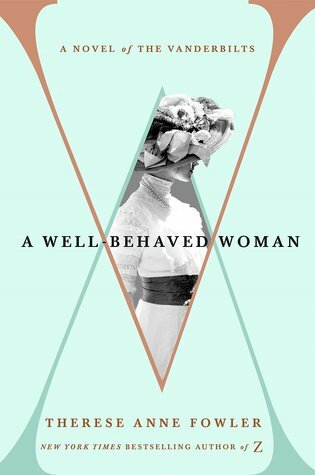 This book captured my attention and my imagination because it showed a strong-willed woman who participated in high society while, at the same time, forcing it to conform to her will. Alva Vanderbilt was not to be messed with! One of the reasons I was compelled to tell Alva’s story (and Zelda Sayre Fitzgerald’s in my previous novel, Z) is to combat the way notable women in history are too often reduced to little more than sensationalized sound bites. Strong women — especially if they elect to lead lives outside of the domestic sphere — are often depicted without appropriate context, are made to seem one-note (as if any of us could be defined by a single act in our personal history or a single aspect of personality), and are described with sexist labels. An intelligent, ambitious, outspoken woman is called “pushy”, “domineering”, “abrasive”, “hysterical”, “shrill”, etc., most often by men but sometimes by other women as well. I love that Fowler is motivated to depict influential women in this way. It is encouraging for the future of literature and history that more interest is being given to telling more of the truth so that we, our children, and future generations will see history through a wider lens. Four celebratory stars for an extremely well-written book and a rags-to-riches story with a true hero at its center. Therese Anne Fowler is a contemporary American author. She is best known for Z: A Novel of Zelda Fitzgerald, published in 2013. The work has been adapted for television by Killer Films and Amazon Studios, with Christina Ricci and David Hoflin in the roles of Zelda and F. Scott Fitzgerald.